Borussia Dortmund winger Marco Reus is in high demand after an impressive start to the new season, with the German club recently admitting that the attacker has a release clause in his contract. This has shortened the football betting odds on the talented forward making a move to the Premier League. As such, both Arsenal and Manchester United have been linked with a move for the former Borussia Monchengladbach man, with his release clause thought to be in the £30 million region. Arsenal’s link to the prodigious attacking midfielder is understandable, as Arsene Wenger has been steadily adding players from Germany to his squad over the last 12 months. Lukas Podolski, Per Mertesacker, Serge Gnabry, Thomas Eisfeld and Mesut Ozil are all on the books of the north London club already. However, with the Gunners in real need of an out-and-out striker to take some of the load and responsibility away from Olivier Giroud, Wenger should have other priorities in the January transfer window. Reus’ considerable abilities mean he would be an excellent addition to any squad, but given the presence of Santi Cazorla, Theo Walcott, Alex Oxlade-Chamberlain, Podolski and Ozil, another attacking midfielder is not necessarily what Arsenal need if they are to win silverware this term. United on the other hand need a player of Reus’ ilk more than the Gunners do. The Premier League champions are over-reliant on Wayne Rooney to provide the craft and creativity to break teams down, while their wingers have been hit and miss over the last 12 months. With the pursuit of a creative central midfielder falling flat, it has been up to Rooney to link United’s midfield and attack. The likes of Nani, Antonio Valencia and Ashley Young have failed to impress of late, while Shinji Kagawa has been limited in his chances to play. Reus’ addition would be a real boost for the Premier League champions, as he would bring energy, guile and technical quality to Old Trafford. His tendency to cut inside off his wing and play intricate passes with his number ten, Henrikh Mkhitaryan at Dortmund, would be a key bonus of signing him, as he could link up with Rooney in a way that United’s current wingers do not. Kagawa still has a lot to prove at Old Trafford, and offering him in part-exchange could well be a mistake. Alternatively, should United meet Reus’ release clause and bring him to Manchester, two former Dortmund stars on the flanks for the champions looks like a mouthwatering prospect. With three points separating the top two teams in the Bundesliga, leaders and champions Borussia Dortmund host perennial powerhouses Bayern Munich in a massive game at Signal Iduna Park on Wednesday. A win for the hosts will all but seal back-to-back titles, whilst an away victory will give the biggest club in German football the impetus to go on to win their title back. Jurgen Klopp has transformed an underperforming and mediocre Dortmund setup into a well-tuned and talented squad of promising stars since taking over at the club in 2008. The team’s Bundesliga crown last season was the first since 2002, and the 44-year-old trainer has continued where he left off last term in 2011/12. Many feared for Die Borussen after the forced sale of key midfielder Nuri Sahin to Real Madrid and a slow start to the season, whilst Champions League elimination in the group stages proved that the young pretenders have a way to go yet to replicate the historic achievements of the European champions team of 1997. Despite this, a run of ten wins from 13 league games propelled the holders back to the top of the standings, and the crown is now Dortmund’s to lose. With home advantage and their opponents still with European distractions, Klopp’s young superstars will look to strike a decisive blow on Wednesday. The likes of Mats Hummels, Shinji Kagawa, Mario Gotze (although he will not play through injury) and Robert Lewandowski have shone over a fantastic 24-month period for the club. Off the pitch, Dortmund recently claimed another victory over their traditionally superior rivals. The signing of Borussia Monchengladbach and Germany attacking midfielder Marco Reus, wanted by the Bavarians also, shows that Klopp’s men are serious in their rejuvenation and could be ready for a period of dominance in the country. Bayern, by their own admittance, were poor last season but a summer of rebuilding, the arrival of Jupp Heynckes and a better start to the campaign has saw Die Roten back to their ominous best at times this campaign. Despite spending spells on top of the pile and thrashing sides on occasion, inconsistency has crept in at times domestically, which Dortmund have taken advantage of. With Real Madrid lying in wait in what should be a mouth-watering Champions League semi-final, the Allianz Arena outfit have a potentially memorable end of season ahead of them. However, both Los Blancos and Dortmund will put Bayern under pressure, with the side’s defence still to really prove that it has what takes to challenge for honours. The attacking abilities of Franck Ribery, Arjen Robben, Thomas Muller and Mario Gomez are not in question, however it is whether Bayern can shut out an attacking-minded Dortmund side that will be the difference in the game. Dortmund won the reverse fixture 1-0 at the Allianz Arena through a solitary Gotze strike, and despite Bayern’s history, players and prestige will go into this game as favourites. The home side could well be on the verge of a new era of success, with 90 minutes for the young Borussen stars to prove their worth and retain their title. This season’s Bundesliga campaign has already been as exciting and enthralling as any in the recent memory, especially given the tightly contested title race. At the time of writing champions Borussia Dortmund sit top of the pile, after a great run of form has made up for a sluggish start. Bavarian giants Bayern Munich have an unbelievable amount of talent at their disposal and want their top flight crown back at the Allianz Arena. Meanwhile, last season’s relegation escapees Borussia Monchengladbach have defied theodds by challenging for top spot with a rock solid defence. But where is the Bundesliga title going in 2011/12? After an impressive campaign last year where Jurgen Klopp’s young superstars won the German top flight at a canter, a very slow start to this campaign had many questioning the longevity of the relatively inexperienced group. However, after Champions League expulsion, the Signal Iduna Pak outfit have been able to solely focus on domestic matters, and are now top of the Bundesliga by four points. Die Borussen have won 12 games in a row in all competitions, and their attacking stars such as Shinji Kagawi and Robert Lewandowski are impressing suitors in Germany and further afield. A blow for the holders has been the injury to key playmaker Mario Gotze, but the side have not missed the Germany international too much as others have stepped up to the plate. 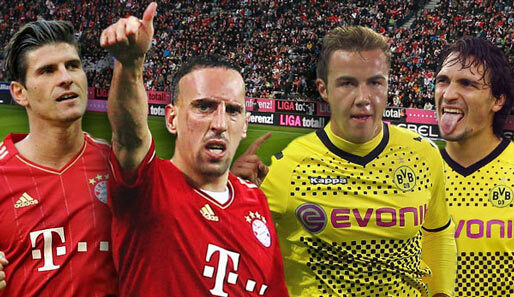 Most certainly the team to beat, it is Dortmund’s title to lose with 11 games remaining. Bayern Munich are Germany biggest and most successful team, but when things don’t go to plan the Bavarian team and fans gets rather restless. After losing their first game of the season, Jupp Heynckes’ side hit their straps and bulldozed their way to the top of the standings in impressive fashion. With Jerome Boateng and Manuel Neuer adding defensive steel to the attacking prowess of Arjen Robben, Mario Gomez, Franck Ribery et al, Bayern looked like a shoe-in for the title. However, inconsistency and defeats against the other two challengers for the league have seen the Allianz Arena team drop to second. Add to this the fact that they are still in the Champions League, and Die Roten need to up their game, starting with a tricky away fixture against Bayer Leverkusen at the BayArena this weekend. 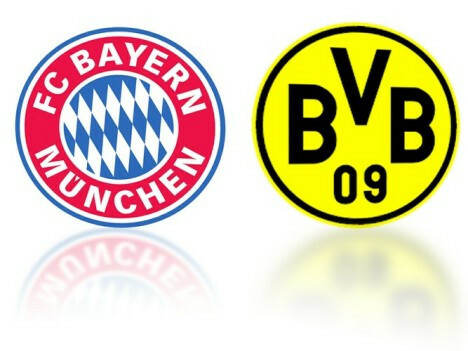 The fixture against Dortmund on April 9th could well decide the destination of the crown. Currently in third place, Borussia Monchengladbach have had a fantastic season to date, and even if they do slip away from title contention must been applauded for going toe-to-toe with the big boys and more than holding their own. Lucien Favre’s side’s success has been largely based around their stellar defensive abilities; the underdogs have only conceded a miserly 14 goals in 23 fixtures this season. Whether or not they can on to finish in the Champions League qualification places or even win the division is in the balance; they are currently in third, five points off the pace. A downfall to a smaller club’s success is that the inevitable purging of players starts to take effect, and this has been the case at Monchengladbach. Undoubted star Marco Reus is on his way to Dortmund in the summer, Roman Neustadter is heading off to Schalke, whilst Bayern court Brazilian defender Dante. One thing is guaranteed; if Monchengladbach finish first or tenth they should be saluted for their captivating form this season.